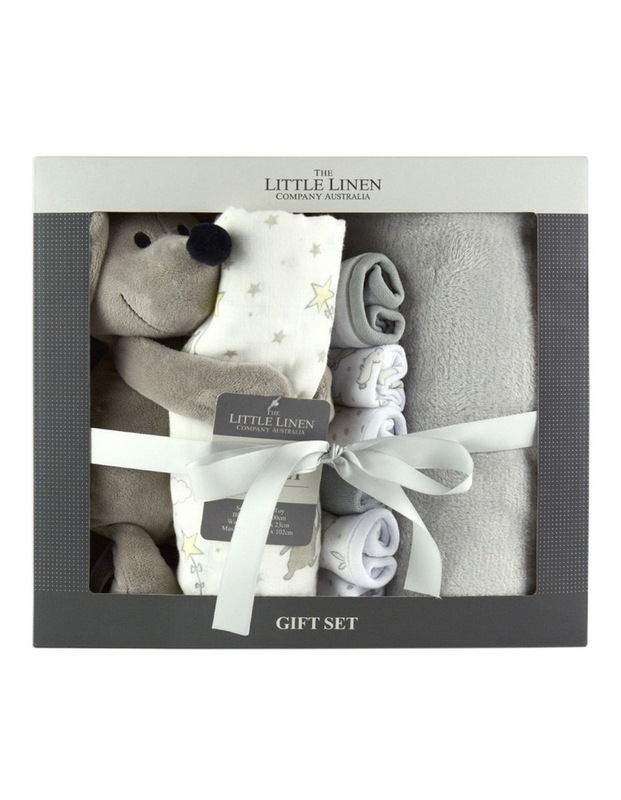 This gift set combines some key items to have on hand for any newborn bub. A super-functional and hard wearing fleece blanket, cuddly plush toy, towelling washers and a muslin wrap for all your swaddling needs. 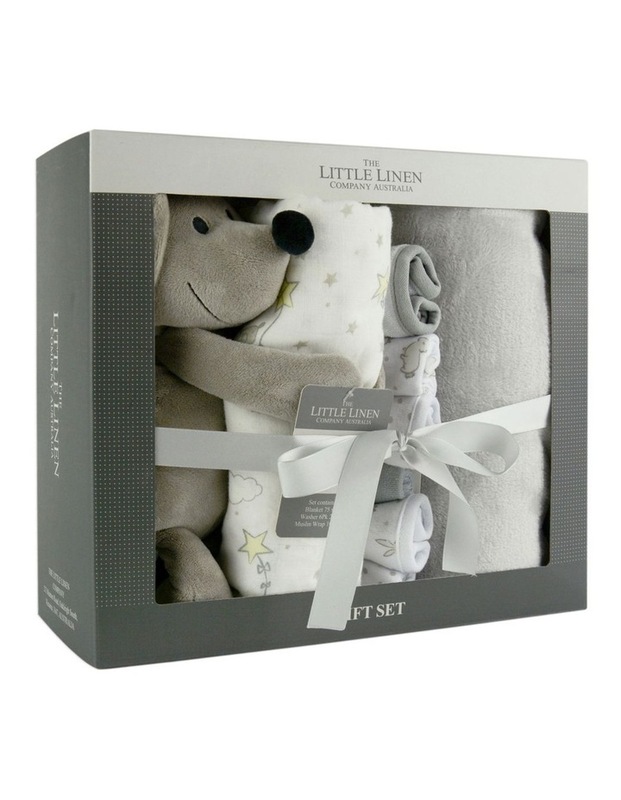 The Little Linen Company have been making premium quality nursery products for over 40 years.